There are so many people who want to start working for themselves at home. However many need to know how to overcome the fear of failure in respect to starting their online business. In this post I am going to explain some of the common and misaligned fears that people have. Just like it is impossible to build a house or a skyscraper without first laying a foundation to build upon, the same is true for building an online business. 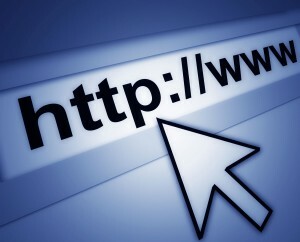 Your personal website will act as that foundation to your future online success. However when many people think of having their own personal website, they fear that it takes hard work to not just build it but to maintain it. This is one of those misaligned fears that many times prevent people from trying. People need to stop living in the stone ages of thought and realize that you do not need to be a technically oriented person to build your own website. For the past several years you could build a WordPress website WITHOUT programming it yourself by using a website builder. How long do you think it took me to program this website? Take a guess because I will tell you right now you will be wrong. Ten minutes? Fifteen minutes? One minute? Try ZERO! I didn’t have to program any of it. I just click a button on my computer screen and the website builder programs it in under 30 seconds. For so long we have been told that you need to be a programmer to be able to build yourself a website, but as I explained above and show in the video on my Site Rubix blog post, that is no longer the case. This is just another one of many common mistakes in starting an online business that many people have. Another mistake people make is they fear that all of this “technical” information will be too hard to understand. If you were doing it by yourself perhaps, but you have help. Then another mistake is the fear that building a website and starting an online business will take too long to get established. You will hear people say things like, that sounds like a lot of work. This is actually more of a laziness on their part than it is a fear. There is absolutely NO profitable online entrepreneur that did not have to work really hard and long hours to become successful. If you want to someday have your own business, whether it be a brick and mortar or online, you will have to really work at growing it like all successful business owners have. If you are tired of working for someone else who is making way more than you, then you need to know how to grow an online business, so that someday in the future you can fire your boss. But if you continue to hide behind false fears and don’t take action, you will never be a success. Those really successful online entrepreneurs, who start with nothing and now many years later have more money than they had ever dreamed of, have one thing in common. They all took action and didn’t fear what would happen once they took that action. 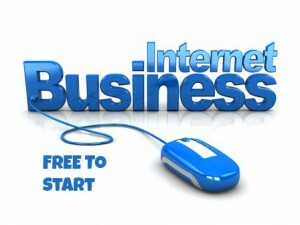 So if you want to know how to start an online business, you first need to get some training in internet marketing. Unless you know what to do and more importantly what not to do, you will struggle and could very well fail before you even get started. 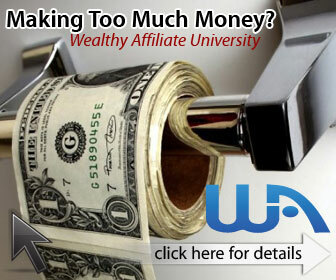 The best place to learn everything you need to know, and that has all the resources you will need, is Wealthy Affiliate University. I have one of their ads above and to the right. The cost is only $47 per month and that includes everything you need to succeed. However you can start for free to test drive the training if you like. It is very important to realize that the fear of failure will ultimately lead you to failure. Like U.S. President Franklin D. Roosevelt said in his inauguration speech “…the only thing we have to fear is…fear itself…” and that is so true with anything unknown we face in life. But if you don’t attempt to try and learn how to overcome that fear and the procrastination that comes with it, one thing is definite, you will always be a failure. The only person you will be able to blame for your failure is yourself. I have provided a way for you to overcome those fears, by inviting you to join the #1 ranked online training community that will take you by the hand and help you step-by-step to build a successful online business if you are willing to work for it. And if you join from anywhere on this website, I will be your coach to help you as well at no extra cost. If you want to know more about what $0 and $49 per month will give you at Wealthy Affiliate University, read the Wealthy Affiliate Review. If you have any questions or comments you can leave them below. Remember! Do not let fear stop you from starting your journey to financial freedom. Only you can make yourself succeed and I will help you. Another great post Robert! I understand why many people have a fear to start an online business and there many reasons for that. One of the reasons is that they have been scammed in the past and the other reason is that they join the wrong program that makes things even more confusing and complicated. 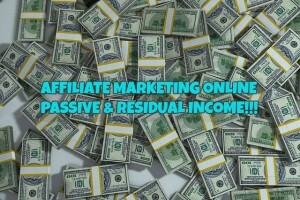 In fact, if you join the right program like Wealthy Affiliate, you are then on the safe side. All things are maximum simplified inside WA community and even if you have some or tons questions, there is always someone who can help you inside the community. I would say, if you are inside WA, there is no fear how to do things. 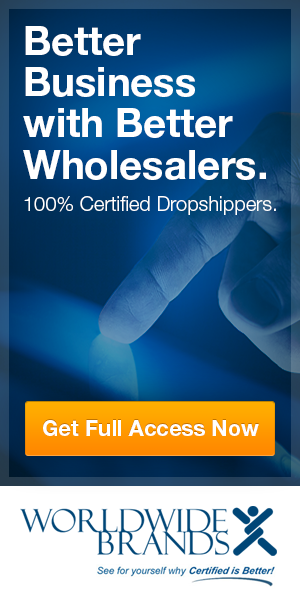 They have the best training, the tools, 24/7 support and 2 free websites for you. What else you need to start online? You need to overcome that fear and start learning and working and if you are persistent, you will achieve success. This is true Rufat. Most people have been scammed so many times or have joined programs and never got any support or real training, so now they are skeptical of everything including, unfortunately for them, the real legit programs. This is one of the reasons for this website. So that I can expose the scams and offer viable solutions for starting in a REAL and GENUINE program like Wealthy Affiliate. Because I too was scammed and I must say, WA is an AWESOME experience and I am so glad I came across them! Hi Robert. It is difficult sometimes to overcome fear when thinking about starting an online business especially when there are so many scams everywhere you look. However, learning how to create your own business with help and guidance is definitely the way to go. 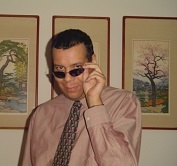 Plus it is the only way to own the work that you put in as well as the business outright. Exactly Lis! People are always looking for that easy-to-make-money website or at-home opportunity and just do not realize that all of those types of opportunities are nothing but scams. If making money online was so easy and lucrative, everyone with an internet connection would be millionaires. Real lasting income from an online business takes time and effort to get going and it requires long hard work. 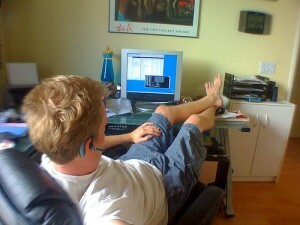 Making money in an online business is no different than doing so in an offline business. Like I say to people, if the opportunity is claiming you can be rich in a short period of time with little work on your part, that is a clear indication that it is a scam. This is yet another reason why Wealthy Affiliate is legit, because they do not make claims of what you will make, and always advocate training and hard work to accomplish your goals. With their help, guidance and support, it is no wonder that so many are succeeding with their help. Very good advice on over coming the fear of failure. When I started I did not like to write and was very shy. I got over it by just going through the lessons at Wealthy Affiliate. They can make you forget your fear if you just do the lessons. As you say, our own fear of ourselves keeps up back more than any other failure. Thank you John! Fear is a problem we all face at one time or another and it does impact on our decisions to take action at times when we should. This fear often becomes procrastination and then the next thing you know, time has gone by and you are still in the same situation you were before you started procrastinating, sometimes your situation could even be worse. People just need to jump in and try, otherwise they will never know if they can succeed.